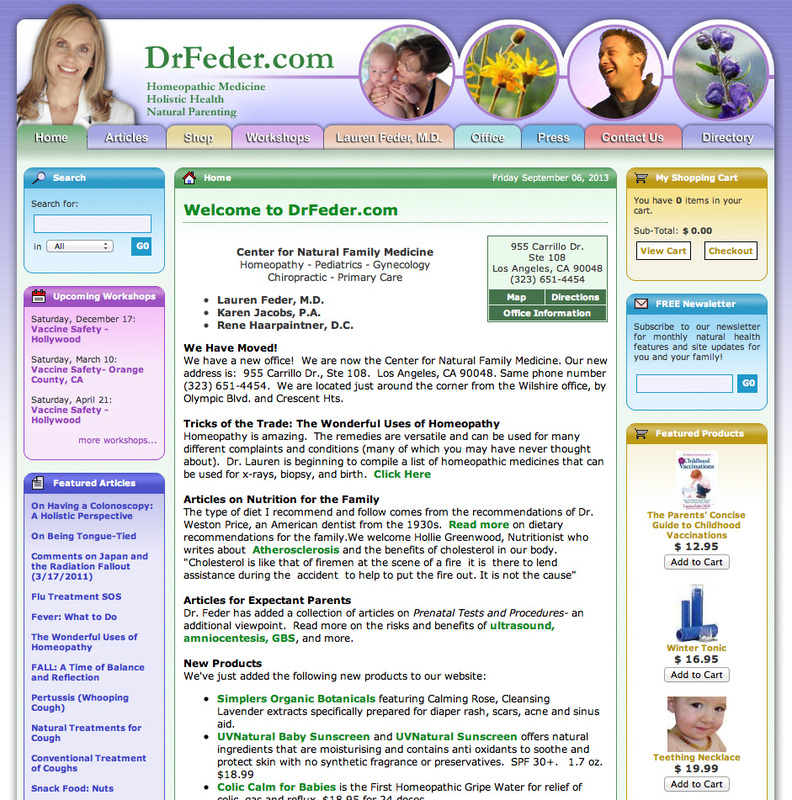 Lauren Feder, M.D. 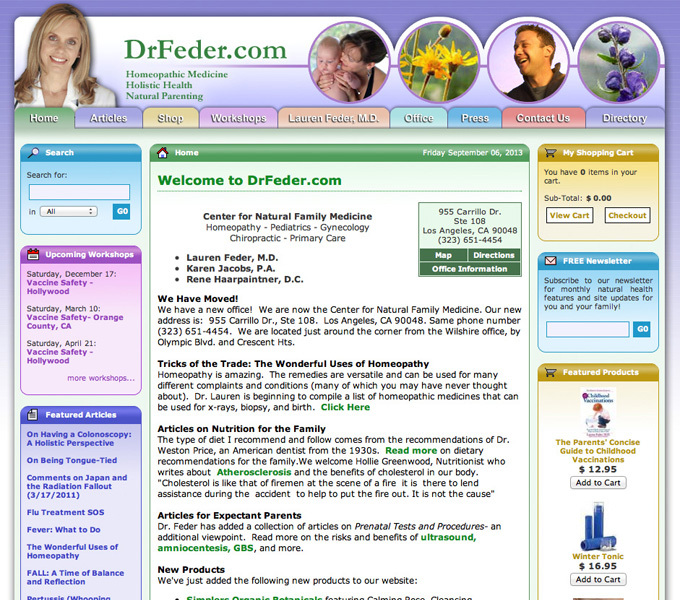 is a nationally recognized physician who specializes in holistic health. 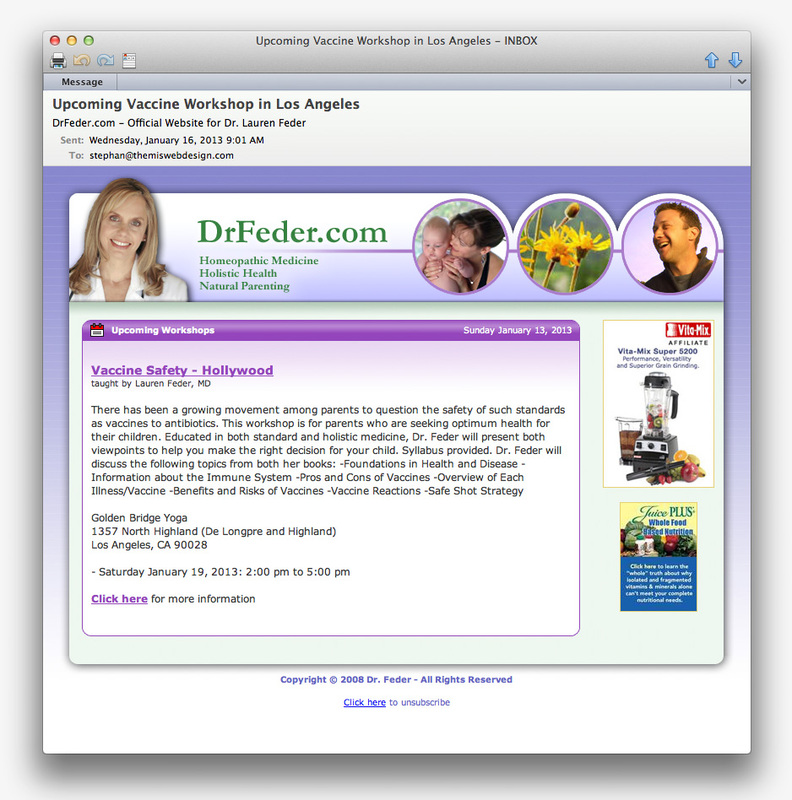 She has appeared on national television and radio programs and written for various publications. 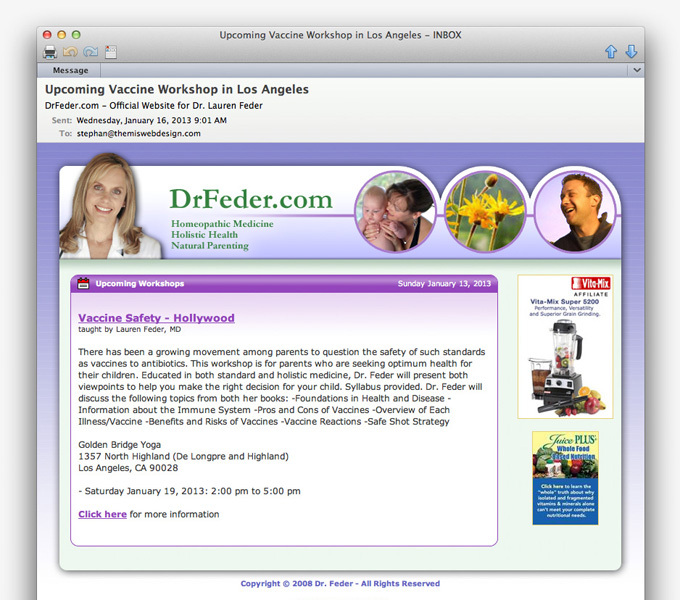 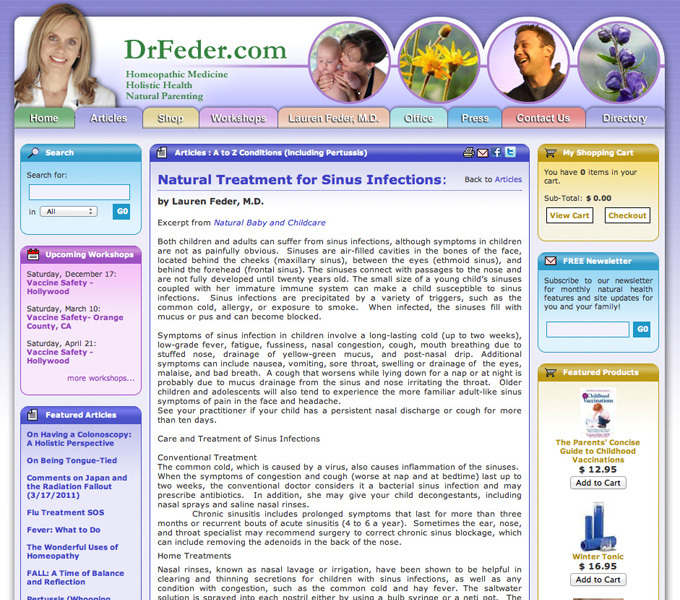 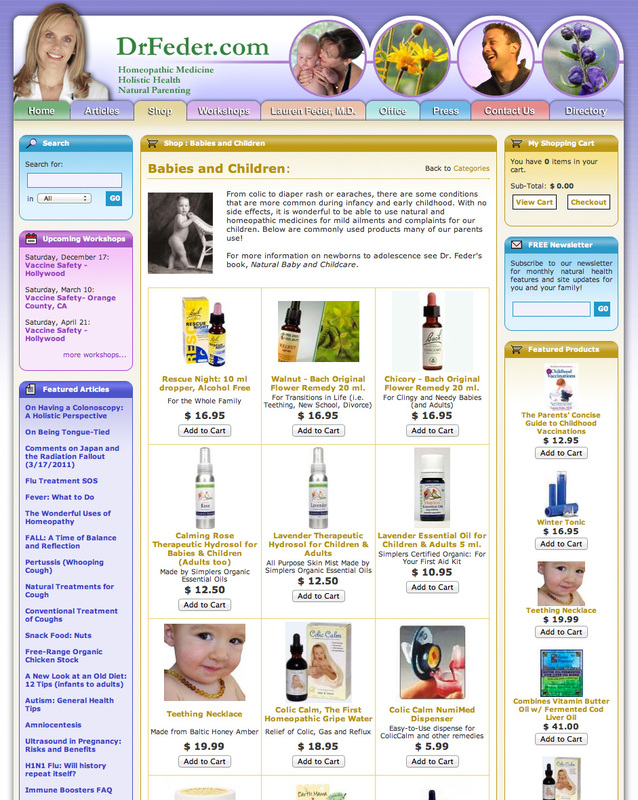 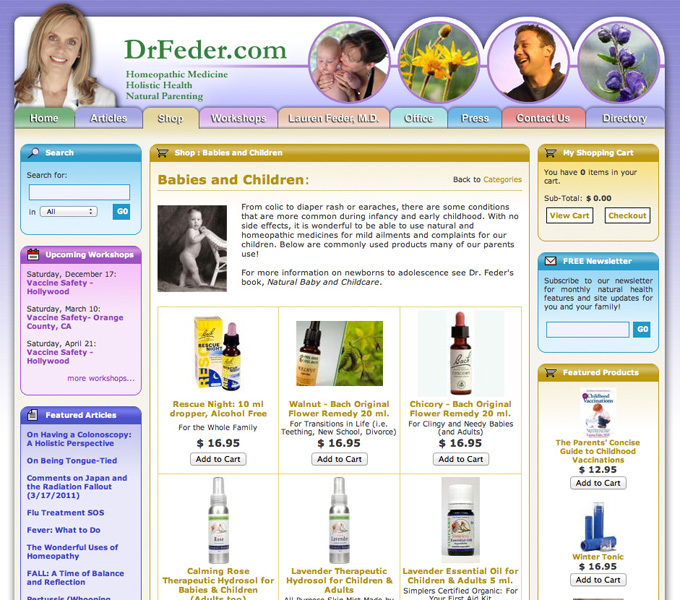 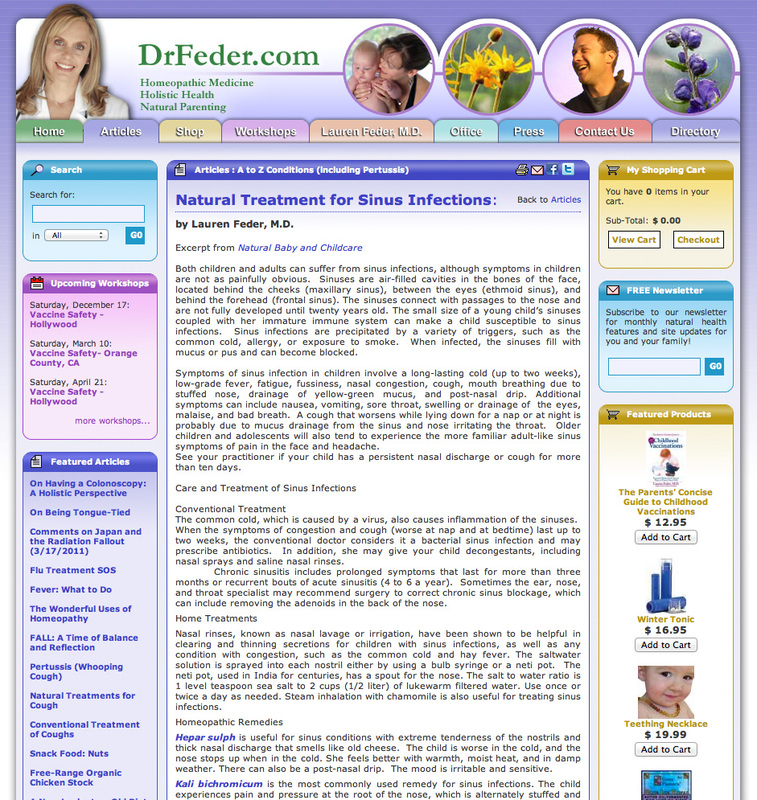 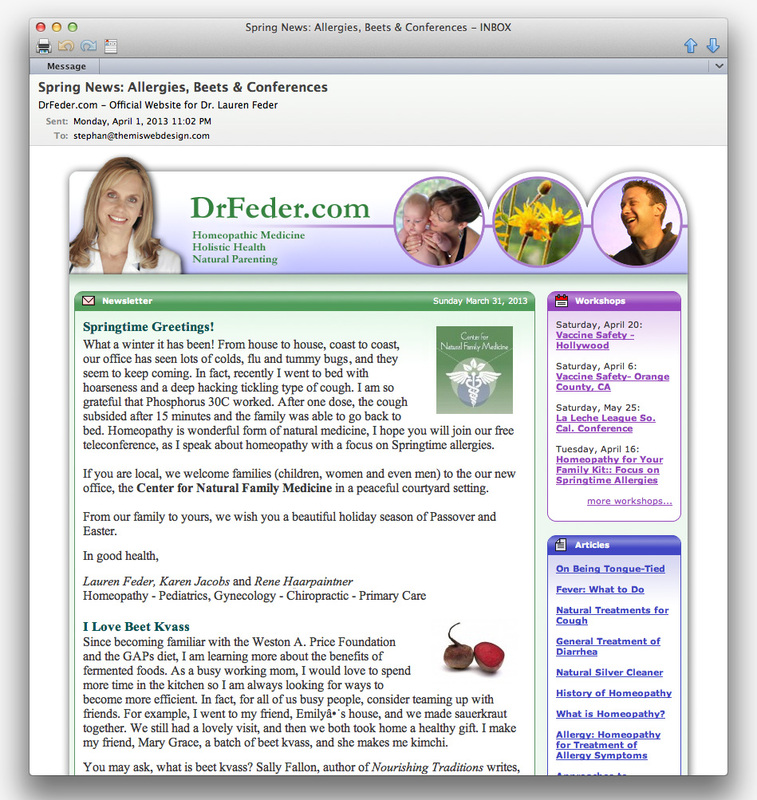 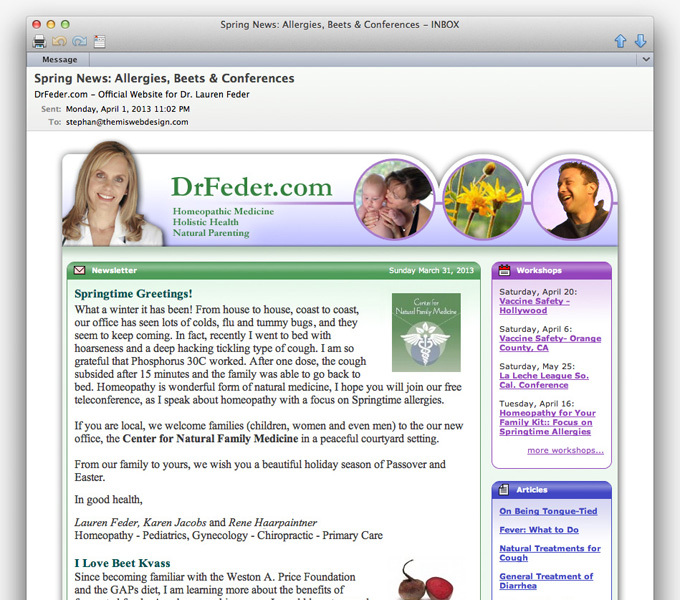 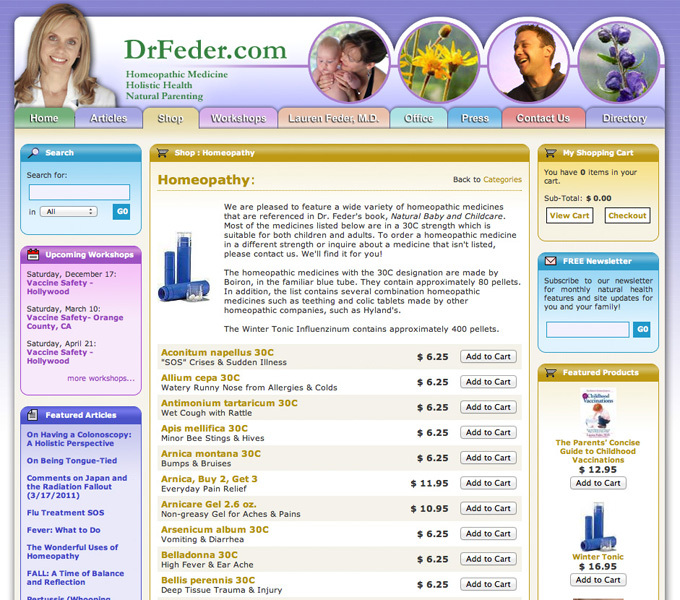 Dr. Feder's website features homeopathy products for sale, as well as a plethora of holistic-health-related articles. 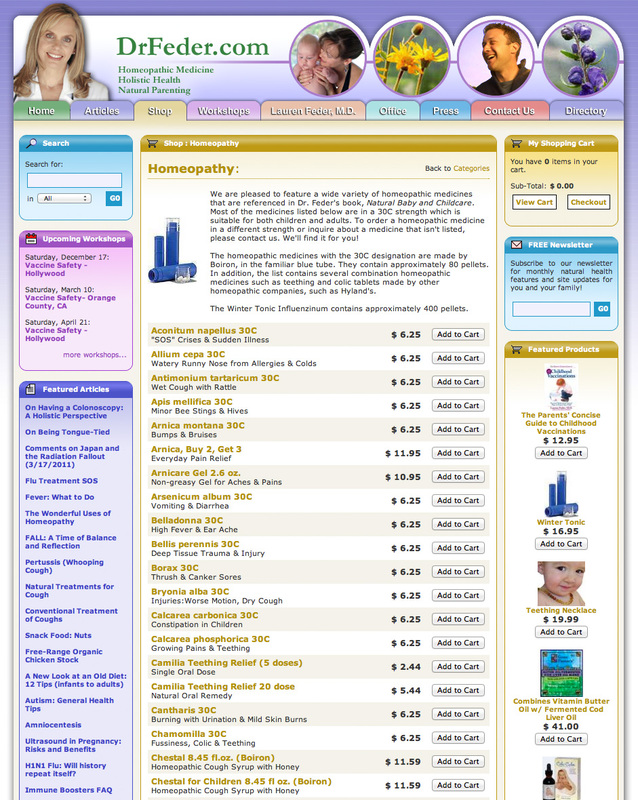 The backend allows her office to track orders and fully manage the contents of the website It also features e-mail marketing tools from which marketing campaigns can be generated easily based on previously-entered information (such as event reminders, article and product highlights).